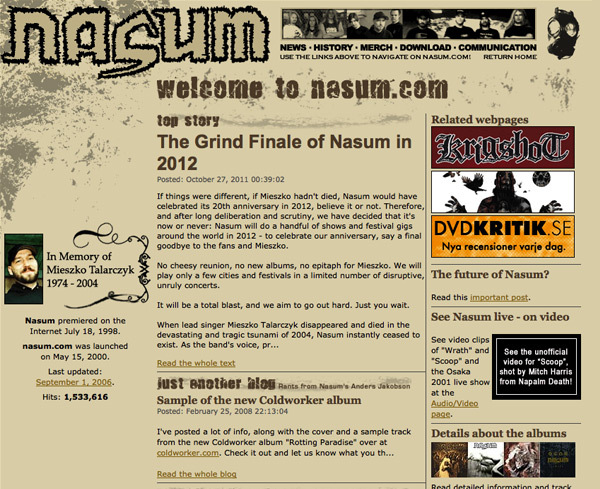 Since Mieszko says ”We are Nasum from Sweden” after the first two songs I am slightly baffled by the song order. ”The Idiot Parade” and ”Den svarta fanan” were usually songs played at the end of a set but on this particular night they were… first? Very weird. 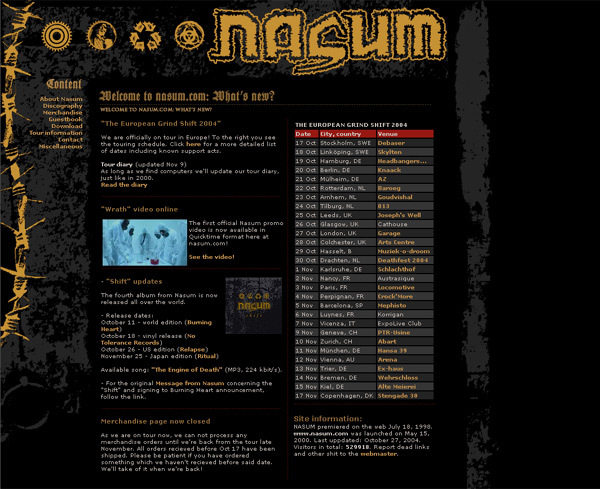 Unfortunately I have no saved setlists or notes from this tour but I have some memories from the only proper UK/Ireland tour Nasum did, six days in May of 2002. This was during the trio years. 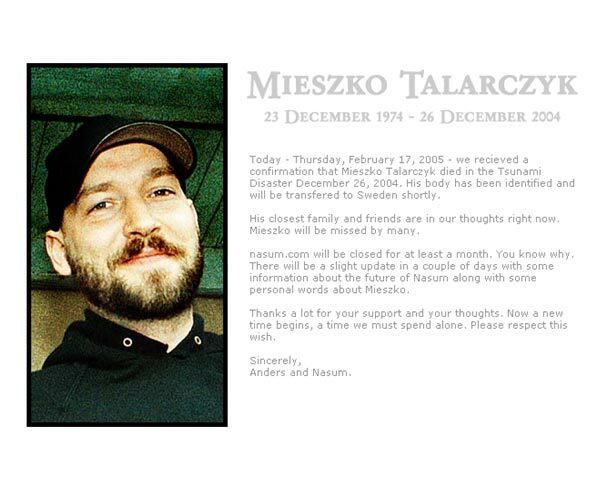 Mieszko, Jesper and I were the band and prior to this tour we had been in the US in 1999, Europe in 2000 and Scandinavia and Japan in 2001 with several one-off’s and festival shows scattered around over the years. On the Scandinavian tour, supporting The Haunted, we befriended Bo Lund who was (and by all means, still is) a great sound engineer from Denmark. We brought him on the Japan tour and we brought him to this little spring tour in jolly old England. The tour was scheduled to start in London at Mean Fiddler May 3. 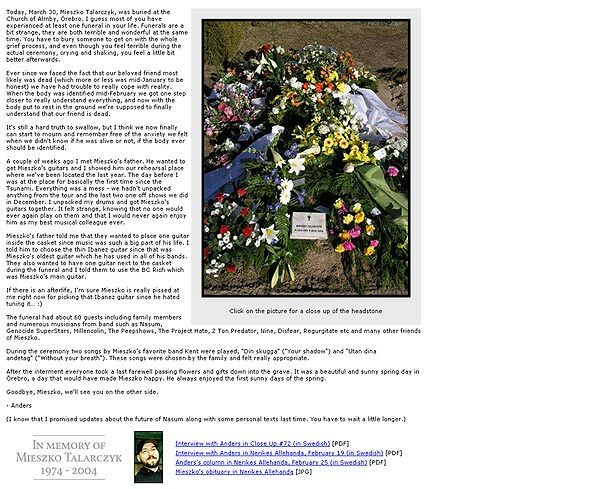 At this time Jesper was attending the university of Lund in southern Sweden so he went to Copenhagen and flew to London with Bo, while Miezsko and I went two hours to Skavsta Airport to catch a Ryan Air flight to London. As we had boarded the flight the troubles began. To start with, take off was postponed 30 minutes. Then the captain said that there was a technical error in the data system and they had to contact the Ryan Air headquarters in Dublin to figure it out. Then they had to turn off all of the electricity and then we had to leave the plane. In true low-fares flights fashion the information was scarce but finally we got word that a technician from Dublin had to be flown in to fix the problem and that meant a six hour delay and that there are no guarantee that it will be fixed right away. Further more there were no guarantee that all the passengers would get a seat on the next flight to London. Chaos ensued! 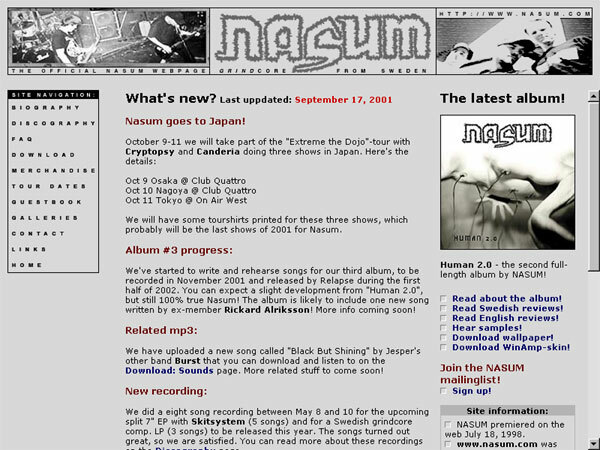 I called our booking agent at the time and asked him to check out quick options. Skavsta Airport is an hour away from Stockholm and the big Arlanda airport. He found a some flights but they were ridiculously expensive. In the meantime we got a message that it was possible to reschedule our flights to the Västerås Airport, 90 minutes away by car. We saw this as the only option for us to get to London and possible make it in time for the show. I called a friend that lived near Skavsta and begged him to drive us to Västerås but it was impossible, but Mieszko found two guys in suits that had booked a taxi so we tagged along. In Västerås everything went smooth and we landed at Stanstead Airport outside of London after two hours. We got on the express train and while in London we caught a cab and came to the venue litteraly 15 minutes before stage time. I remember saying hello to Bo and Jesper and then getting to the stage and putting my cymbals on the stands and then getting dressed for the show and then: SHOW TIME. The only great thing about all this hassle was that there was no time to get nervous! This tour had another huge set back and that was that our merchandise wasn’t delivered in time for the first show. We had printed a large number of t-shirts at our usual place in Örebro and ordered a delivery to the venue in London, but they never got there. And we never got them during the tour and we did all six shows without having anything to sell. This meant that our income on this tour was almost next to nothing. We got some money for each show but most of it covered the nightliner bus and the agents fee. It was terrible. A few weeks later the merch boxes came back to the printers and they really took our side and demanded the delivery firm to pay half of the printing costs, which they did so ultimately we got a bunch of merchandise pretty cheap. All the hassle aside - it was a fun tour. 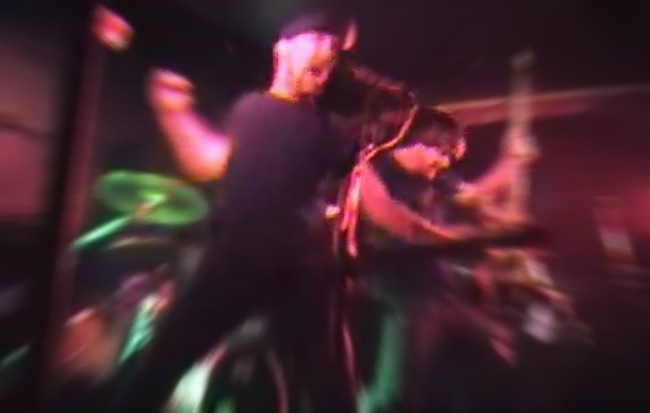 The Dillinger Escape Plan was the headlining band and a band called Rabies Caste opened the shows. It was quite a kick to see DEP a few nights in a row. Really, really cool. They also had a merch guy in their crew, whose name I absolutely not can remember, who introduced me to the movie ”Donnie Darko” which became an instant favorite. 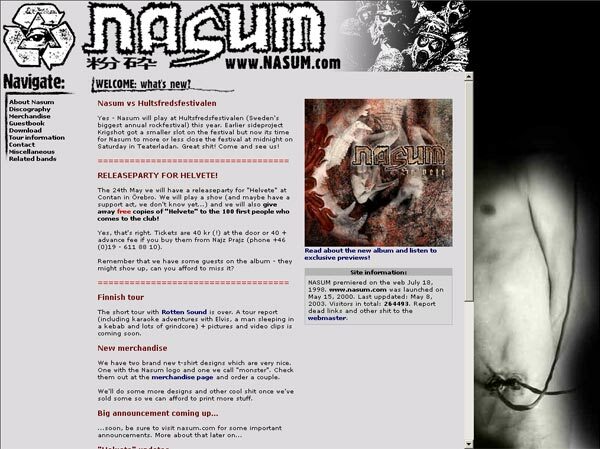 The tour was pretty short, only six dates, then the touring party continued without Nasum for another week but with Genocide Super Stars taking our place so Mieszko kept his place in the bus. I guess Bo Lund stayed as well so Jesper and I fucked off back to Sweden to different airports. I remember reading the Mötley Crüe biography ”The Dirt” on the flight back home. That I remember, but I can’t remember that merch guys name?! This clip brought back some memories. 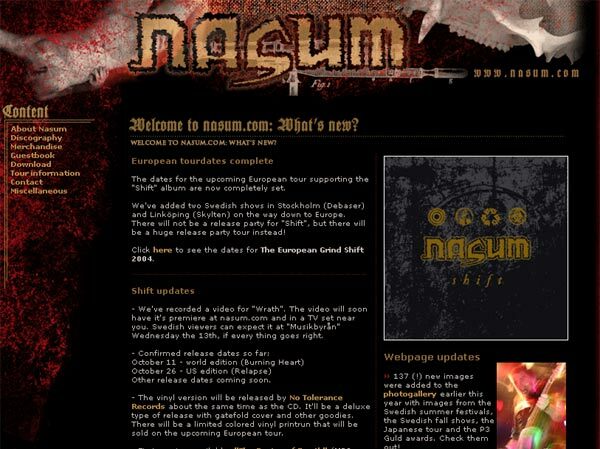 The shows in Dublin and Belfast the following day was the first and last times Nasum played in Ireland. That never happened again, which makes me slightly sad. There are no later posting.